Jaeger-LeCoultre has given us a peek at how it plans to celebrate the 85th anniversary of its famed Reverso with an early look at new Reverso watches set to debut at the January SIHH in Geneva. The Le Sentier-based watch company debuts the first models within two newly defined Reverso collections, Reverso Classic and Reverso Tribute, while the first models in a third collection, called Reverso One, will debut first at the SIHH. And if you’ve ever desired a customized Reverso, Jaeger-LeCoultre has streamlined the process with a series of personalization options to make your own bespoke model using the new Atelier Reverso. 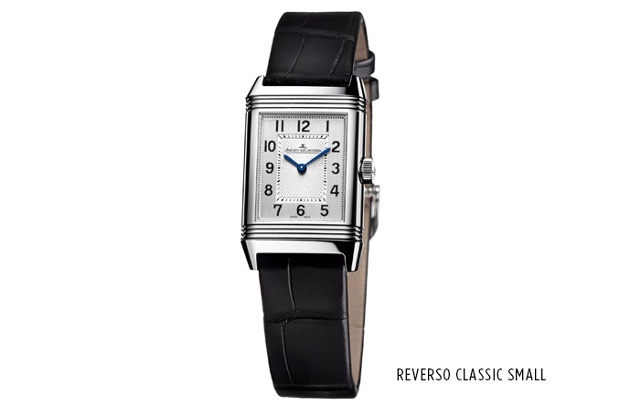 The Reverso Classic watches focus on the collection’s Art Deco inspiration while also offering new automatic options. This collection emphasizes the well-known Reverso geometric case and lugs, the straight Arabic numerals, the minute track and the ideal Golden Ratio-inspired case proportions. Available in small, medium and large sizes, the Reverso Classic models feature subtly reworked lugs (they are slimmer) and all will have a black and white front dial that is subtly textured with a guilloché center and a vertical-brushed exterior. The small models will be set with quartz movements while the medium and large models fitted with automatic Jaeger-LeCoultre Caliber 965. 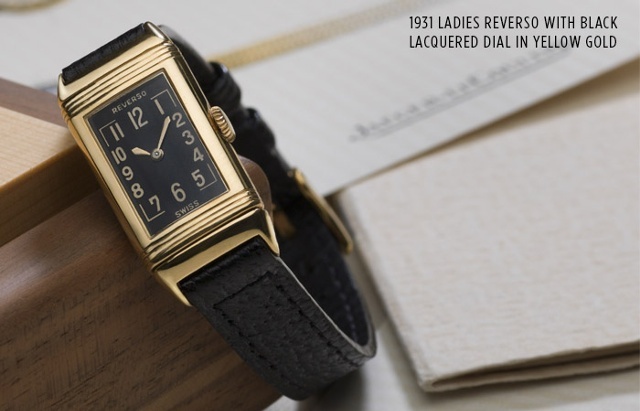 For additional features, look to the Reverso Classic Large Duo, which will accommodate a second timezone (via automatic Jaeger-LeCoultre Caliber 969) on a steel or pink gold case. On the 47mm by 28.3mm model pictured, note the day/night indicator (at 6 o’clock) on the brushed, guilloché front dial, while the black dial on the back, bearing large stamped hour-markers and graced with clous de Paris hobnail finishing, displays home time instead of the traditional 12 o’clock numeral. Also within this collection is Reverso Classic Duetto with two back and front dials and a double set of hands driven by a single movement. 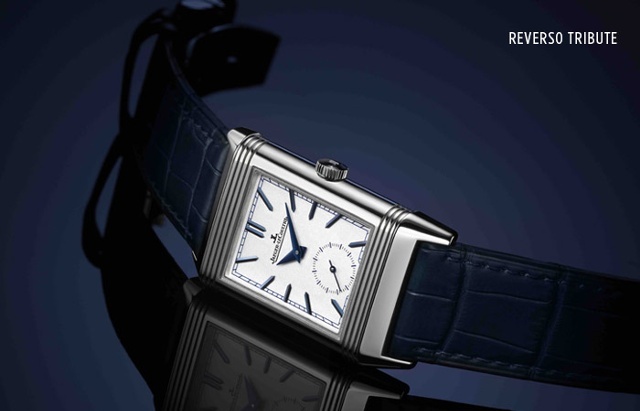 In small and medium sizes only, the small Reverso Classic Duetto is driven by manually-wound Jaeger-LeCoultre Caliber 844 while the medium-sized edition is fitted with automatic Caliber 968A. This model’s caseback shows a deep black dial with an Art Deco style enhanced by two rows of diamonds. 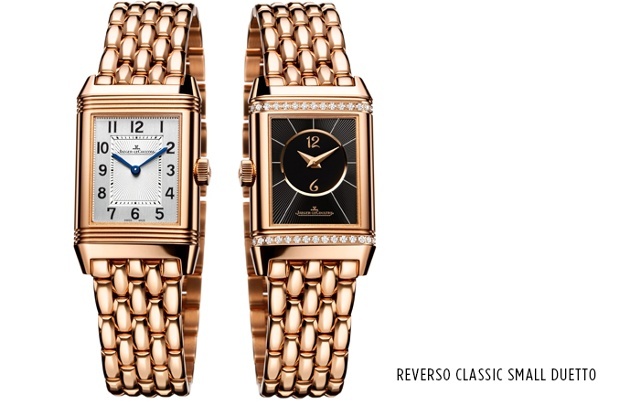 All Reverso Tribute models feature the Duo concept of two independent faces complete with a day/night indicator. This 2016 debut example, measuring 42.8mm by 25.5mm, is model is fitted with manual-wind Caliber 854A/2. The strap here is stylish dark blue alligator leather. 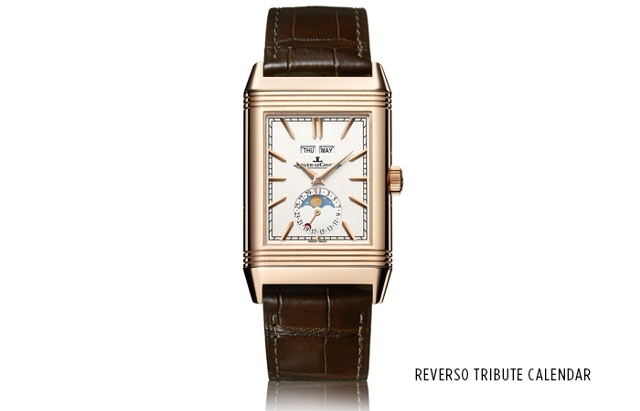 The new Reverso Tribute Calendar, the first model in this collection, adds a complete calendar. On one side it displays that calendar while on the other the side is the Reverso Duo function. Anthracite predominates on the guilloché dial with its clous de Paris hobnail finish. Also note the hammered moon-phase display that inspires a symmetrically placed day/night indicator. Inside the premiere model’s pink gold case is Jaeger-LeCoultre Caliber 853. Photo above by Johann Sauty.